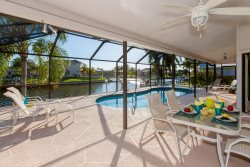 This home may have the best water views in all of Cape Coral. Located in a beautiful neighborhood in the SW Cape, this Aubuchon built home offers Deep Water Sailboat Access, southern exposure, & spectacular views looking straight down the Spreader canal & over the nature preserve. It doesn't get any better than this! Well, actually it does, once you see the massive outdoor pool area, you'll know why lanai with outdoor summer kitchen, retractable awning for added shade, heated pool w/ bubblers & tanning shelf, a 360 degree spillover spa, & one of the largest private pool decks you'll ever see! open floor plan w/ living & family rooms, formal & casual dining, 3 bedrooms & 3 full baths, and office with a comfortable Sofa bed, & a 3-car garage, wood Cabinets, granite counters, SS appliances, tray ceilings w/ crown molding, & so much more! This home caters to the Florida lifestyle. Dieses Haus hat mit Sicherheit einen der schoensten Aussichten in ganz Cape Coral, am Ende des Spreader Kanals im SW von Cape Coral in einer ruhigen und gehobenen Nachbarschaft gelegen, Segelboot Zugang, Suedlage, grosse Terrasse mit ueberdimensionalem Swimming Pool, eingebautem Whirlpool der in den Swimming Pool ueberlaueft, ueberdachte Terrasse mit viel Platz und aussen Kueche, Markisen sind fuer Schatten Liebhaber vorhanden, 3 Schlafzimmer, 3 Baeder plus Buero mit komfortalblem Sofabett, Garage fuer 3 Autos, hochwertige Kuechenschraenke in Naturholz sowie Granit Arbeitsflaechen, dieses Ferienhaus steht fuer den Florida Lifestyle. Steffen was very attentive to discussing and resolving some minor issues we had. Extremely nice house. The back yard/pool area was exceptional with lots of seating, lounging and dining areas. The property was truly amazing we are already talking about renting this home again . We all enjoyed it. We loved it and will return. I already had alot of friends ask me about it. Great vacation house. 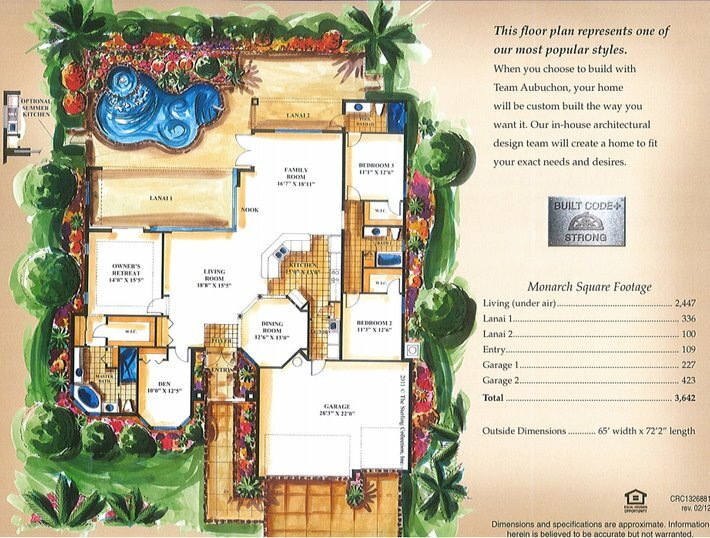 It had all the amenities you need including an amazing pool area and beautiful furnishings within the home. The house is located in a wonderful area along the water but also close to stores. Could not of asked for a better house. Thanks!